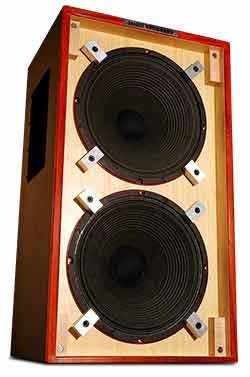 This is The Fatty, a speaker cabinet built from hemp board, covered in bamboo, and loaded with hemp-coned speakers. Yours for an eye-watering $1,499. Perfectly matched with the Hemp Guitar I wrote about a few months back. The cabinet is made by Hard Truckers, who used to run the Grateful Dead's sound system and now produce very expensive gear, including gruesome tie-dyed speaker grills. Damn, these baby boomers have a lot of money. Isn't the whole point with industrial hemp supposed to be that it is significantly cheaper to manufacture? Jesus rode a bicycle made of hemp. Wow, this is so cool. I'm a bit of an environmentalist so this is the perfect piece of gear.